As I squinted across the blanket of white stretching as far as my eyes could see, I wondered if this place would ever feel like home. As we drove around the snow covered peaks, flip flops long forgotten at home, we tested one house after the other to see if it fit as tightly as the mittens warming our hands. One week and many miles later, I lay nestled on a blow up mattress in our master suite crying my way through a migraine and extreme car sickness. I wallowed in the self pity of moving so far from home and sordidly welcomed myself to Colorado. Thus began our journey of acclimating to not just a new climate, but a new culture, a new way of life, a new home far from the home I had known all my life. We left everything familiar, everything comfortable, because God called our name. God wrote in the testament of our lives to rise, go, and follow Him. How will I ever make friends and find community when all I do is stay home with my baby all day? Oh how I long for friends, but fear being vulnerable. Having a toddler certainly makes it harder to meet people and develop relationships. Of course, I have no regrets about being a stay at home mom, nor do I harbor an ounce of bitterness toward my baby, because being a mom is one of my greatest joys. It is a gift and a blessing! Yet, I long for friendships. I’m lonely. Pull me out of my fatness and need for comfort and ease. Give me eyes to see Your will. I was so tired of waiting for 5 o’clock to get here so I’d have another adult to talk to. I was so tired of wondering if we’d ever have friends. I was so tired of going to the park by myself. I was so tired of waiting on the Lord to supply friendships and fellowship in one of the most un-churched towns in Colorado. I was so tired and so lonely. Certainly, pastors can preach about motherhood; Sunday school teachers can teach about it; and the church can voice support for the hard work Christian moms do. But the real strength and courage necessary to mother are found in the unique bonds of Christian sisterhood (page 117). So how does a lonely stay at home mom without community do it? How does she find this Christian sisterhood? This year has been a year of incredible refinement. As I reflected on this journey of friendships in a new town, I could not help but see just how different I am now than when I moved here over seven months ago. I never knew what it meant to rest in the grace of God until I had walked through the fire of having no where else to turn but Him. It was through this waiting period that I found Him to be my El Shaddai – The All-Sufficient One. Go where God’s people are and seek fellowship. Finding a church home isn’t easy, but God loves His church and we should seek to plug in to a local body as soon as possible (for more of my thoughts on church see my series, What to Do When the Church Lets You Down). I’m an introvert, but I know the importance of fellowship so I scan the weekly bulletin for fellowship opportunities. I have found that I’m more comfortable in my own home, so inviting people to me is an ideal way for me to get to know someone! A simple meal is one of the best ways to get to know someone! Finding a local moms’ group is a great way to get started making friends. I attended the weekly play dates with our local MOPS group over the summer. I met so many sweet women and really developed a lot of great friendships because of it. Another great way to find other mommies is to search Facebook groups! You’ll be amazed what you find there! And just because you attend one church doesn’t mean you can’t join up with another church’s group for Bible Study or events. Think outside the box! If there isn’t a moms’ group in your area, then start one. You don’t have to do a nationally known group, but just start with inviting a group of women to your home, or to the play ground, or for coffee after the school zone drop is complete! Don’t be afraid to reach out. I guarantee, you aren’t alone in needing fellowship. My son and I make it a weekly outing to hit up the library for story time. I met a few women this way when we first moved here, and it’s fun to see familiar faces and share in your children’s inability to sit still on a cushion for 30 minutes. The added bonus? It’s free! We also have plans to take gymnastics and music class in the winter, which I’m really looking forward to! Moms, we need each other. We need support when our energy, resources, and patience are sagging. We need encouragement to treat motherhood as a mission field. We need other moms to pray with and for us. We need to recognize that sisterhood is powerful and to live and to live out God’s truth even when it’s countercultural (page 123). So friends, if you’re lonely as a stay at home mom, you need not be! Take a leap of faith and seek the fellowship of other women. Don’t stay in your house. Get out and get active, or invite them to you. I guarantee you are not alone in your longing for friendship. God created us for community. Seek it and pray for it! Create opportunities and pray for grace upon grace! What ways have you found to create community as a stay at home mom? It seems you have written this just for me! I have struggled with this for a long time – the lonliness that can come with being a stay at home mom. I love what you wrote: I never knew what it meant to rest in the grace of God until I had walked through the fire of having no where else to turn but Him. 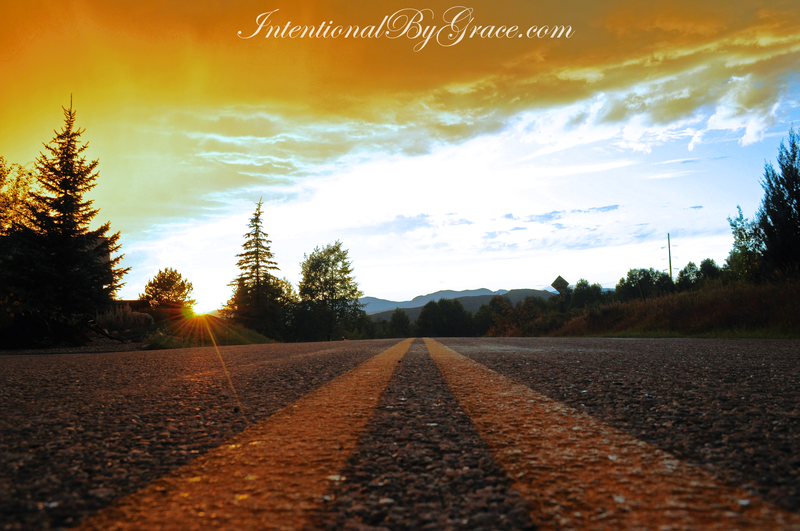 He is teaching me now to rely soley on Him – and to wait for His timing when He will reveal His purpose for me. Oh, Stephanie! I’m so glad you know you’re not alone. It’s so hard when you’re in the middle of loneliness to trust in God’s gracious providence! Some days, I am so far from wanting to get out and about because I’m just exhausted, but I’ve learned I have to push through. I try to get out with other moms at least once a week, even if it’s just 30 minutes at the library. I can always tell when I fail to take that step. But some weeks, it’s been just so hard and lonely, but God has proved himself faithful time and time again! I hate that you moved so far away, but I’m so glad to know you’re doing better. We miss you in the East. 🙂 But, we’re only a text away!! Great encouragement for moms who move to unfamiliar settings! 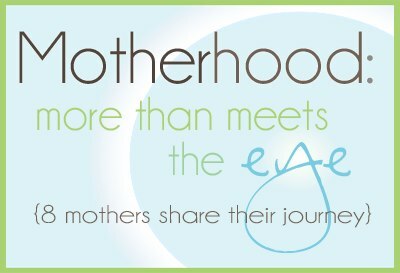 When we moved to TN, the 2nd week I started a mom’s group and although our circumstances now have made it where I can’t be a part of it (work, moved to another town) I know it was a need for so many mothers and the group is still thriving today! I also love to go to MOPS and looking to your church is always something to do or even start something at your church. This post will encourage so many moms Leigh Ann! Thank you, Rachel! I’m so grateful for mom groups! Yes, Facebook is a great way to find local mommies! I’ve used this a few times since moving here! So grateful for the Internet! Leigh Ann recently posted…Healthy Living eBook Collection – Buy it Now! Wow, could this be anymore for me? I recently got married in August… and became the mommy of three beautiful blessings that lost their momma unexpectledly several years ago. One week later, I moved from my home, where i had lived all but my college years, and moved to SC. My husband is the deacon of a small church plant, and so community there is small. This was so encouraging to me that I am not alone! I joined a bible study on thursday mornings called Bible Study Fellowship- still no deep friendships, but people that are praying for me! I have also joined up with sisters (LIKE YOU!) in this online community and have found so much encouragement- and have even begun my own blog and such. Thank you for writing this. God used you in a big way in my heart this lonely afternoon! Wow! What a testimony! You certainly have your life transition in full swing right now. I’ve found the deep relationships are certainly hard ones to make. It takes time, and sometimes it even takes lots of it. The hardest part is becoming vulnerable so others can find their way into our hearts! However, we are not alone! 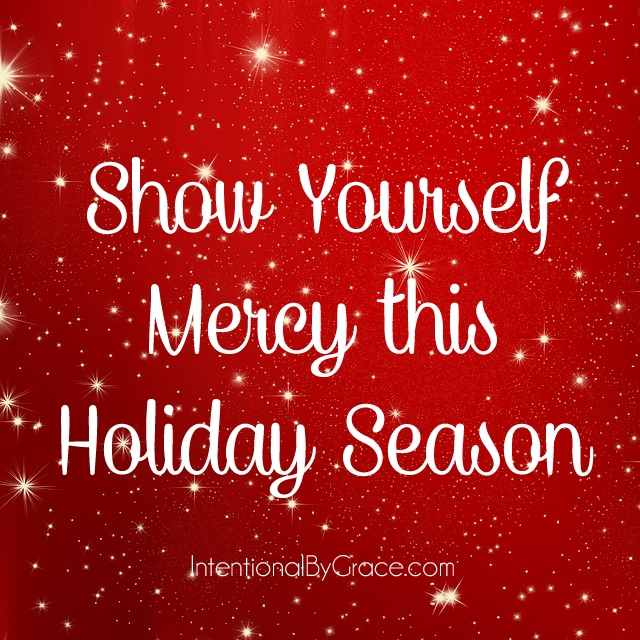 I’m so glad you found today’s post encouraging! Thank you so much for sharing! I hope this post blesses many others! We moved three times in three years, so I could identify with this post. After our last move, I was hungry for community. I wanted to find moms to connect with. We’ve been here for two years now and I can say we’ve found community, but we still have to work on reaching out and building it. We are surrounded by great neighbours in the same stage of life as we are. We’ve found a great church group, with a mom’s group and a group for families. And there have been other opportunities to get involved and make friends. They all require stepping out, reaching out. But it’s worth it. Thanks for sharing! Girl, you KNOW living way out in rural Ireland I can relate!! We’ve been here nearly 4 years now and I feel like I’m STILL getting to know people. It is hard and exhausting. And amplified when there are few to none who share your love for the Saviour. It’s hard when your household is the only body of Christ you have access to regularly. You gave some awesome tips!! Oh, Jen, you definitely have great challenges! You know, where we live, there is a high rate of turnover. It’s a resort town so people rarely stay long. So, I imagine this will be a life long journey for me as well. Praying for you friend, and praising God for your willingness to lay down your life for Him! MOPS has made such a HUGE difference in my life and not feeling so isolated….that an PWOC which is an Army-wide ladies Bible study that meets weekly (very similar to MOPS aka they have childcare, but not solely for women with children). Joining those two groups has brought me more spiritual growth in the last two years than the last 6 years of church-going combined has. God has worked in amazing ways through these groups and I am NOT the same woman because of them. I always leave feeling blessed beyond measure! Love hearing this (that you have found community in MOPS and PWOC). Now the question is: how can we take this community to your church? Thanks for sharing your story. We’ve gone twice to a different church in the area and my husband told me this morning after the service that we are going back next Sunday. It’s scary, but so encouraging!!! Longing for more community, that’s for sure!! Thanks for sharing! Such a timely reminder for me. I grew up in Texas & have lived here all but 2 years of my married life. We are moving on this Thursday to Boise, Idaho, where I not only know not a single soul, but are 7+ hours from the “closest” family. My kids are older (13, 9, & 6) and I still find it hard to meet other moms and make friends, as I am still a SAHM. I’ve always lived 7+ hours from family (well, since I left for college!). So I totally understand. It has its challenges, but I’ve learned that it makes the time you do get together that much sweeter. In the meantime, I pray God provides “family” in Boise quickly! What I currently yearn for is to “shoot the Spirit” with someone who is walking the path. It does get lonely when I am currently surrounded by people who are not in the same space as I am. My DH works almost six days a week to pay back our debts we incurred earlier in our marriage. I do work part time out of the home, but on those days when I am with my children, I do feel so isolated. I thought I was the only one who felt this way, so I appreciate this post more than you know. Marcella, you are certainly not alone! I have found the first step to be the hardest step. Not to mention, once you take that step it is a constant journey, a journey that is ordained by God for our good and to show His glory. I encourage you to pray for God to move in the women around you, as well as in your heart. I’m praying for courage for you to step out in faith. Sometimes it only takes one person “laying it all out there” for friendships to begin to forge. I have learned, in my short years, that often those who I think probably think I’m crazy … really just think they’re the crazy ones. We’re all afraid of being judged, sadly. But maybe take a leap of faith, with discernment, of course, and put your heart on the line with another woman? I think you’ll be surprised how relieved she is to know, she’s not alone. Praying for you!! I feel your pain! I’ve been looking for other women at my church to “shoot the Spirit” (love that phrase) with too and have yet to find anyone. I would recommend that you join a group over at Good Morning Girls so that you can at least have some online friends to pray and read the bible with. You never know, you might find some women who are in your area. And since I’m pretty shy myself, I can tell you that making friends online is a bit easier and is a great way to learn how to approach new people offline as well. We love Good Morning Girls! Great idea, Victoria. I’ve also participated in Hello Mornings with Kat from Inspired to Action. It’s another great way to connect with women online. Thank you for sharing your thoughts on this. I know exactly how you feel and have tried most of the suggestions on your list without any real change. There have been a few women I’ve connected with, but sadly they have moved away. I’m incredibly lonely sometimes, but I try to remember that God knows exactly what my needs are. My biggest challenge in finding friends is simply that I’m often treated like an outsider because of my race. I can’t tell you how many women have completely ignored me even after I’ve tried to talking to them. I’m an introvert too, so this is hard for me. Your encouragement in this post has certainly helped me to continue trying. Oh Victoria, this makes me sad to hear. 🙁 I live in a resort town, so I definitely understand the friends moving thing. We have families come in for a short season, sometimes as short as the summer or ski season. Then, they’re gone. It’s a very hard cycle, but pour into each one with all your heart. You will be immensely blessed by it. I have to remind myself of this often. It’s not easy because it’s not “permanent.” However, I think this is God’s will for us with each passing season. Hang in there! I am a single Mom and I’m finding it very hard to make friends that share my values. It seems most single Moms are busy remaking themselves and getting back into the dating scene. The women I have things in common with spiritually are all wives and interested in making “couple friends “. I feel really left out most of the time. I’m lucky that I still get to stay home and work from home…but I do wish I had a close friend. This blog post resonated with me. 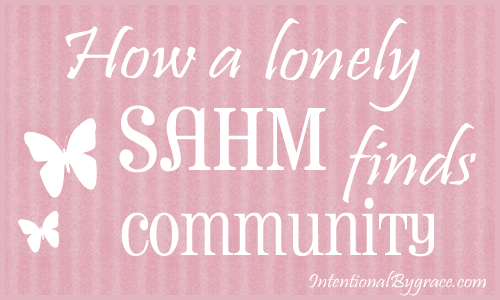 I feel isolated and lonely most of the time as a SAHM. I struggle because I don’t get to choose where to go to church, because my husband is the pastor. He’s also the pastor of three churches – churches I probably wouldn’t choose to attend under normal circumstances. It’s hard to make close friends when you’re the pastor’s wife and when appropriate boundaries need to be established. We also live in a very poor, very rural area…so going to civilization means about a 45-90 minute drive. Staying at home with my daughter has been rewarding but a challenge. I oftentimes feel like I have little to no support. My husband is gone most evenings and is usually busy when he’s at home since he has a job where he can’t really leave work at the office. Since I have struggled with depression before, I have sought the help of a Christian counselor in the past couple months. That’s been a tremendous help and I would totally recommend it to someone who really feels the walls closing in and are struggling with persistent gloom. Oh, what a difficult position! Although I’m on the other side now, I know it’s hard. 🙁 But I did learn through my short trial that God is truly a wonderful friend who cares. I hope you find peace and comfort in your time of waiting for fellowship, and that you may find joy in the smiles of your babies. I know it’s hard. Hang in there! I grew up moving a lot so I was pretty good at adapting to new places. It was different when I had my sons, I had to learn new ways to meet people. It has been many years since I was home with toddlers, and I’m going through a new transition now. For nearly 20 years my life revolved around my kids and the majority of our friends were parents of our sons friends. Now they are grown and many of those friends are less available because they are still involved in school and sports with other kids. I have found http://www.meetup.com to be an amazing resource to find people who share my hobbies or interests. I’ve connected with a wonderful group of people who ride bikes, gardeners, home cooks, canners and environmental advocates. Thanks so much for the input. It’s always good to learn from someone who’s been there! It’s a constant journey through seasons. Each season brings its joys, but also its challenges. Meet Up sounds like a great place to find people. Oh how I have been there. Not in our current town, but in the one we left. I really don’t have the answer for the uphill battle. I think the truth remains that we must continue to seek God, laying it as His feet. My heart hurts for you because I know the raw emotions you’re feeling. And congrats on your new arrival! That should keep you busy for a while. 😉 I pray the Lord would give you direction and comfort during this season! Hang in there, mama. He hasn’t forgotten you! Oh man….this is so me. We moved back to the city where I grew up about 6 months ago. But I have no real friends. I have acquaintances and they all have their rhythm of life and it doesn’t include me. And so I pout. But I’m not a mom with a baby anymore and I found that that was easier~in the nursery at church, on the playground, dropping off for kindergarten….all great ways to meet other moms. Instead, here I am, a stay-at-home mom of 4 teenagers and I’m finding very few like me. It is so hard and so lonely. Thanks for this post….we’re not alone and yes, we need our sisterhood! I bet teenagers can be more difficult. I pray you find fellowship soon!!! I’m a working mom and was in a similar situation for almost a year since my first was born. I finally found a way to connect with other moms by joining groups on http://www.meetup.com. I was hesistant at first because I wasn’t sure about just meeting up with a bunch of strangers, but now several of them have become some of my closest friends. I do still long for a Christian moms group that works with my schedule though. MOPS only meets on weekdays and so do the moms groups at my church. I tried starting a weekend one, but nobody came. My church is huge and is made up of members all over the city so it’s difficult to connect with others. We moved to Colorado a year ago, that was our third move in 6 years. We have always lived far away (8+ hours) from at least one side of the family since we’ve been married and now we live 15+ from both sides so it has been difficult and quite an adjustment. My husband, though he works from home, also travels for his job so that made the transition even more difficult. We have two boys, now 4yr and 1yr that I am very thankful and feel privileged to be their SAHM :). It seemed like I could relate to your every word in this post, I am very much an introvert but because of our present situation I have had to learn to come out of my comfort zone. I felt much the same way you did after we moved here, but thankfully God provided and I joined the local Mom’s Club chapter and they have been wonderful. I also recently joined a MOPS group and I’m looking forward to getting involved in that this fall. Our biggest struggle now is finding a church home, we are looking but just haven’t found where We feel God wants us to be. Thank you for this post, I just found your website today through Pinterest. I’m attempting to start homeschooling my boys and I was searching for curriculum ideas. I love your website, so full of helpful and supportive material! Anette, I’m so glad you found us! I’m in Colorado too 🙂 It is hard being so far from family…it’s been a hard transition, but God is good. We also have had a hard time finding a church home. It took us 1.5 years to find one. It was a really hard year, but again…God is good! He knows your heart’s desires. So just keep praying through. He will provide! 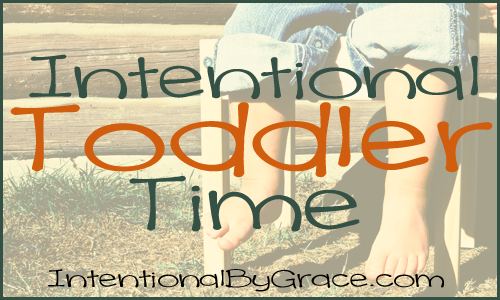 We have a sister site – Intentional Homeschool. We share what we’re doing with our children and curriculums over there. Feel free to check it out. Thank you so much for writing this, and thank you to all the commenters who shared their experiences. A combination of your story and the others I read through the comments reassure me that I’m not alone. It also led me to prayer for these women–even though most of the comments were written a year ago, I pray these moms have found comfort and friendship. We recently moved to a small city that has lost its main industry that employed thousands of people. Many people are struggling financially and have to drive an hour or longer to work. So, our town is fairly barren during the day and there is no one to talk to. All of the moms at our church work as well and I have yet to meet one stay-at-home mom in my 5 months of living here. It truly is difficult. I feel like my calling of being here for my babies at home is being ripped away from me as I contemplate day care for my toddler as I watch him (an active two-year-old) bored and craving social activity like we had where we lived before. I pray to God, “this is my calling, but why does it hurt so bad for me and my son? ” I feel like I am holding him back socially. He was immersed in friendship and constant social activity where we lived before. I had several friends that also we’re stay at home moms. Here, I have neither of those things. I know God brings us through the fire. And he refines us through it. But it is so hard! I am still thankful for these painful experiences though. Without them I would be naive to what other women are going through. I feel this will help me in ministry one day. After all, it’s not the healthy (or got-it-all-together-mom) God has called us to, but the sick and hurting. Without these hard experiences I am sure I’d find it difficult to minister to others. Wow this post hit right on the money. Even after doing some of the above examples (5 years into this) I still find it a struggle at times with relationships. Mothering can be lonely, that’s a topic I will be writing on soon on my own blog, but it also helps us to LEAN on God and seek Him. His grace is what we need for every moment because being a mom is one of the most important career paths and I’m sure the devil will do anything to get us off that path. Stay strong ladies. Amen! Thanks so much for sharing! Love this post. It’s nice to know someone else has been there. However I don’t live in a new area. I have one close friend, but she lives about an hour and a half away. I’ve made attempts to make new friendships, but it just never works out. Both years that my daughter was in preschool, I hosted a coffee social during class at the beginning of the year. Both times, only one or two people showed (and it seemed like out of pitty). When I feel like I’m connecting with a mom that I meet and suggest getting together, I always seem to get some kind of brush off. It’s frustrating. I’m not a wallow in my own self pitty kind of person, and to be honest rarely think about it. But even a tough gal like me gets down once in a while. Oh I totally understand! Relationships are not a high priority for many these days. 🙁 I would say keep being a light. I know it’s hard though! I began praying for you yesterday, and I am continuing to pray for you today. As I’ve read your comment (several times), I have thought of the life Jesus lived while on this earth. He was born in a stable, his family didn’t understand his ministry, one of his closest companions betrayed him, his dearest friends denied him and left him when he was suffering the most. The list could go on and on. Leigh Ann Dutton recently posted…A Bundle that You Basically Get Paid to Buy! Plus a Facebook Party with HUGE prizes! Almost 2 years ago we moved from western pa to northern NY, in PA I had a few friends that I often saw and we did things together, most of know the majority of my life. I had family close by as well. In NY I have my kids, hubby and inlaws. That’s it. I’ve tried going out and about to meet people. I go to church when I can. But it’s a small church (love the message there and the people) and when I say small I mean about a dozen including myself and 3 kids. I’m the only mom with non adult kids :(. The few other kids that come once in a while are the grandkids of the others. I don’t like people, I despise drama and I’ve come to realize that most of my attempts at making friends invited drama into my life. I am a SAHM, I talk to my aunt, and a friend or two a couple times a month. My MIL calls me everyday,we see her a couple times a week. It’s not that I don’t socialize with people I have just chosen not to make friends. I’m content with it most of the time. My husband and I actually do talk (not just about work, kids or house either). We have an exceptionally meger income so outings of any kind are rare. Snow up here is insane and I don’t like the cold so I don’t go out unless necessary in the winter. I guess it depends on who you are and what your past experiences are. I know everyone says you need people to lean on and to help you, but I’ve come to the realization that I was always the person others leaned on or needed help from. I think most of my boredom comes from having less to do for others and no constant source of drama. I’m at peace with that and happy to say I finally have time to take a hot bath a few times a week and read a novel or two. I don’t have to babysit, drop things off for someone, stop over and check on anyone, help someone move, let anyone stay with me because they broke up with someone or are fighting with their mom again. My phone doesn’t ring in the middle of the night because someone can’t sleep and wants to chat, I don’t have to do anyone’s laundry or drive someone else’s kids to activities, I don’t have to take other people shopping, I don’t have anyone borrowing money from us and not paying it back. Maybe I’m just soured on friendship. Don’t get me wrong 90% of the time I volunteered my assistance, but when it was us that needed help very few were willing to lend a hand. I never expect anything in return when I do something for someone (with the exception of lending money and that is made clear when it is lent) but it would be nice to know others are willing to do the same for you. For now I’ll enjoy talking to the few people I want to speak to by phone, enjoy my coffee while poking through Pinterest, having an even closer relationship with my husband and more time for my kids and my free time at night to soak and read in the tub. I’ll even tolerate the jokes from hubby about his mom being my new BFF. I guess my point is that when searching out new friendships, quality is better than quanity and adult conversation is often overrated.